Forward is trying to make you happier. There have been many studies on the effect of altruism and gratitude as it relates to happiness. 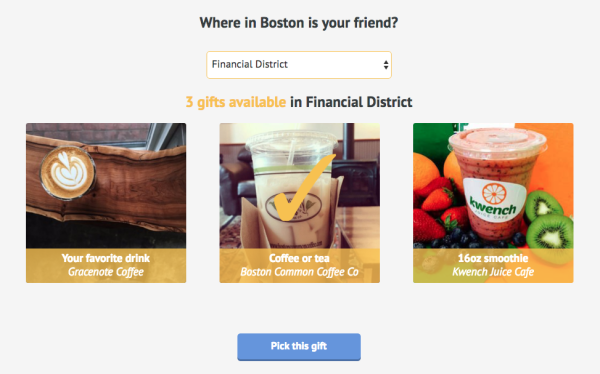 Forward allows its users to give gifts to friends, such as a free cup of coffee or dessert, with no strings attached. It doesn’t cost the gifter anything either, rather businesses see gift-giving as a great source of word-of-mouth advertising and are happy to share their products in hopes of driving repeat customers. Gift giving is easy. 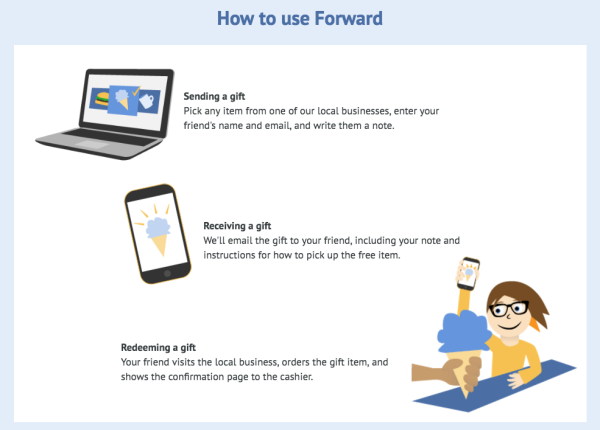 The giver can simply log onto Forward’s website, choose the gift they want to give and send it. On the other side, the receiver does not have to be a customer and can view the gift via email. The receiver can then redeem the gift at the participating vendor. Forward has allowed for location customization so that the receiver is more likely to actually use and appreciate the gift. From the vendor standpoint, Forward allows for an expansion of word-of-mouth advertising. Typically small businesses have even smaller advertising budgets and rely on good old fashioned referrals to attract new customers. Forward allows for a more sophisticated way of tracking this network effect of people talking to people about their product. Through giving 1 gift, 2 people have a positive reaction to the underlying product and are much more likely to refer the service/product to friends and be repeat customers themselves. 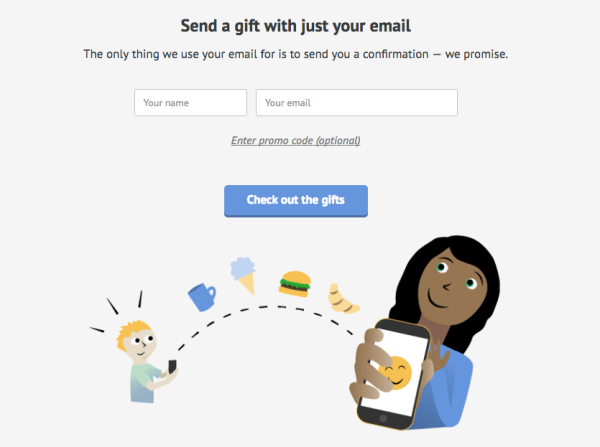 I want to Give and (mostly) Receive Gifts, How Can I Use This Service? Check out Forward’s website at www.forward.gift It’s very easy! Funding: Self-funded at the moment and not really seeking outside funding at the moment. The founders are still in test mode. Revenue: Forward is pre-revenue and is proving out the concept. Once Forward can prove its value of providing and tracking word-of-mouth advertising, they will begin charging for the service. Customers: Anyone in Boston. Everyone loves giving and receiving gifts! Market Size: Forward is targeting small businesses in the Boston/MA area. According to SBA.gov, MA is home to over 100,000 small businesses in the retail, food service, and recreation industries alone. Market Shift: Positive. 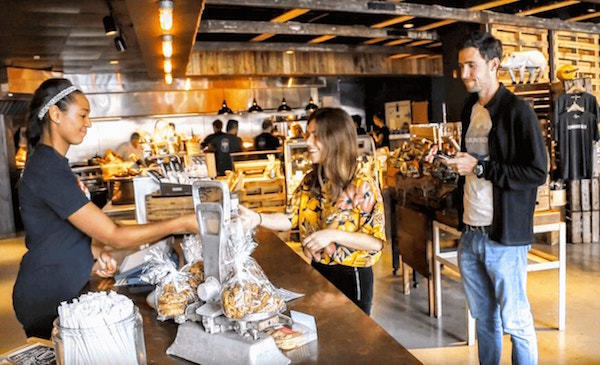 Consumers have been looking for smaller, artisanal retailers with higher quality products. This trend would benefit Forward as a small, deconsolidated business base allows for better adoption of the Forward service. Cyclicality: Cyclical. While gift-giving and receiving are free, the vendor still has to supply product and will be less likely to do so in an economic downturn. Additionally, small businesses are inherently more cyclical than their larger counterparts, which adds additional risk. I sat down with Grant Burgess, co-founder of Forward. Grant has a background in tech having worked at Google in sales for small companies. After leaving Google, he traveled around New Zealand for several months looking for his next project. He noticed different value sets in New Zealand, where people were happier with less and began studying and incubating an idea on how to transport these ideals back home. After traveling back to the US, Grant began working more seriously on developing Forward from an idea into a real business.